My love for the wildness of the natural world was kindled in the most unlikely of places – an urban neighborhood. True, it was a pre-interstate, small-town neighborhood nestled along Elk Creek in Clarksburg, W.Va., a main tributary of the West Fork of the Monongahela River. In addition, our house was one of only seven on a dead-end cobblestone street. Still, our neighbors were close. The one-mile walk back and forth to school was through neighborhoods with houses no further apart than the wing span of a small child. Narrow alleys dissected and intersected with the streets crowded with cars. In the middle of all this, though, was my sanctuary. Our property included a swath of woods along the creek. High, steep cliffs marked the safe edge of our boundary, though that didn’t deter me and my friends from scurrying up and down them. Two ponds were under the tall canopy of trees; the foot-and-a-half wide path down to it from what we called our “upper-back yard” was overgrown with rhododendron. It was a natural science laboratory that also served as my sacred spot – my place of meditation. It caused both wonder and wander. It offered insight into the rational and the mystical. Ultimately, it was a site of solitude. Yet, it was also an essential part of our community. It provided a place for me and my friends to explore new things together, to take risks, to share secrets. We gathered along Elk Creek in a field as a tribe virtually every summer evening to play volleyball. Some of us even tried not to rotate from that creek side, hoping we could jump in the waste-high water, negotiate the rocky creek bed and retrieve an errant ball. As I grew older, my childish ways gave way to very adult worries. At 18, I would spend hours in those woods pondering my future. Would the body counts from Vietnam mean that, I too, would be drafted? Why were peace-loving people such as Bobby Kennedy and Dr. Martin Luther King Jr. murdered? Nobody, of course, had answers to these questions, making those woods a vital sanctuary as I sorted out adult problems in what had been a child’s world. In short, it was one of the few places where I was at peace. Then, it was destroyed. 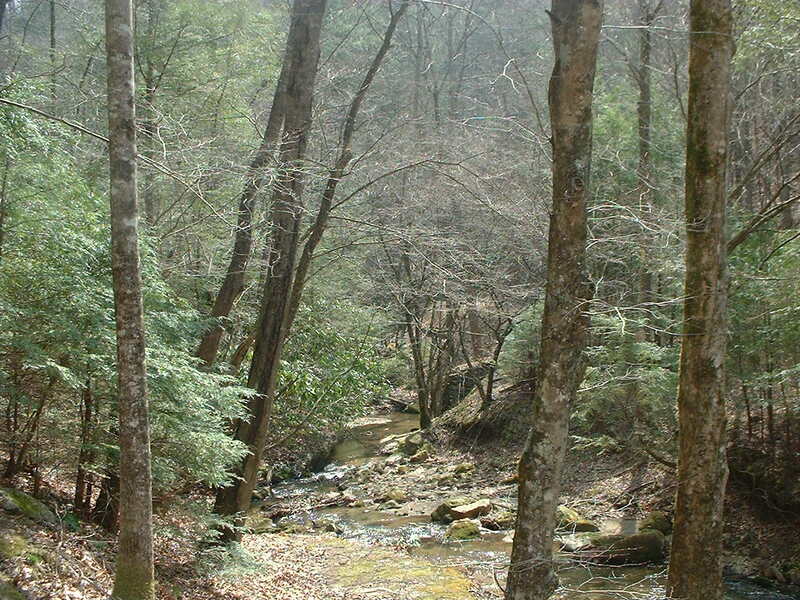 Sadly, though the creek and woods were sacred to me and many others, they were not to the state of West Virginia. They were in right-of-way for a new highway. So, at 18, my roots were involuntarily ripped up as heartless functionaries for the state attempted to “help us replace” our home. As I watched my folks, in particular my mom, struggle with this loss, a loss resulting simply from our society’s priority to move cars faster, I quickly lost faith in our institutions. I found myself lost; sure, we had a new house, but my sanctuary was destroyed – forever. Cold Creek in the Pisgah Forest of western North Carolina. This water basin is home to some of the most rare Southern Appalachian plant and animal life. So, I moved to the largest city in North Carolina to work as a paramedic. There, the flat land and the lack of mountains only served to remind me of my lost sanctuary. Fortunately, though, an uncle on my mom’s side had settled over a decade before in the Blue Ridge foothills about two hours from Charlotte. Growing up where I had, he too had a love and respect for wild places. So, he bought about 100 acres of pristine woods, far up the Blue Ridge Escarpment. There I was introduced to unspoiled views, with hills, valleys, woods, water basins and wildlife that offer an unending display of the rich Southern Appalachian eco-system. 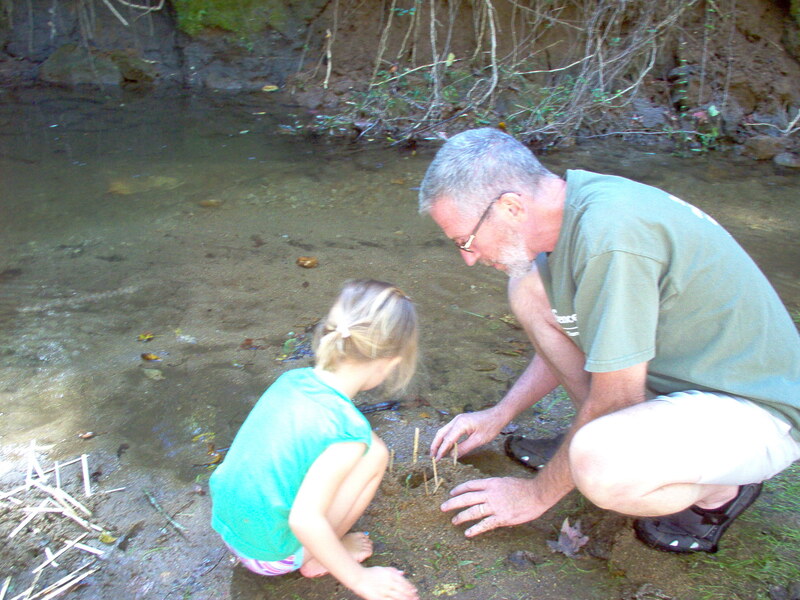 We could safely drink out of any creek, spring or stream. Spring days offered a beautiful new surprise every day. The night was when the critters reminded us that we were only visitors and the starlit, unobstructed sky reminded us of just exactly where we fit in the grand scheme of things. We are not, I learned, the center of the universe. It was an awareness that led, in time, to my deeper understanding of the natural world – that it is sacred. It is sacred because it supports the very life which supports us. It is sacred because it is delicate. It is sacred because of what it offers our hearts, minds and souls (if we will accept and recognize it). Wild places and wildlife are sacred because they are evidence of a creator. In our modern, western world, these are lessons desperately needed today. As we sit in a room and watch friends and relatives peck away at small phones and computers, oblivious even to the person sitting next to them, we quickly lose sight of our smallness in place and time. Action, then, is required. There is still land to preserve. We must be educated and unified. We must then speak truth to power, and we must prepare our children and grandchildren – for this is a multi-generational battle. First, though, we must realize that not all people will change. Enough, however, can be persuaded. To persuade them, we must begin by asserting our morally superior position. While that may, at first glance, sound arrogant, it isn’t. Why? Because we have already established that wildlife and wild places are sacred. This assault upon the sacred is a clear and present danger to all terrestrial life. So, we must not concern ourselves with being marginalized or characterized as “tree huggers.” Rather, we should embrace our conservationist heritage. It is this heritage that gave us the national park system. There are countless ways to do this. Perhaps you could start by attending the Earth Day conferenced scheduled for April 20-21 in Charleston, W.Va. With a theme of “Preserving Sacred Appalachia,” it will be a gathering of conservationists with one goal in mind – to deliver a unified message that Appalachia and all wild places are sacred and worth preserving. Join us. Embrace the label of conservationist or environmentalist. Live a life consistent with those monikers. Become the expert within your circle of influence. Most importantly, relentlessly spread the gospel of conservation. Will we prevail? In time, we can. We certainly, will not, however, should we shy away because of what others think or say about us. Let us not allow apathy, ignorance or greed guide our future. © Appalachian Preservation Project, LLC, 2015. The Appalachian Chronicle is a publication of the Appalachian Preservation Project, a social enterprise business committed to preserving and protecting Appalachia. If you wish to support our work, please consider becoming a member. Learn about the Earth Day conference here.